The Northern Lights have captivated humankind since the beginning of time. This natural light show casts a spell over all who set eyes on it; illuminating the landscape in dancing hues of green, red and purple. 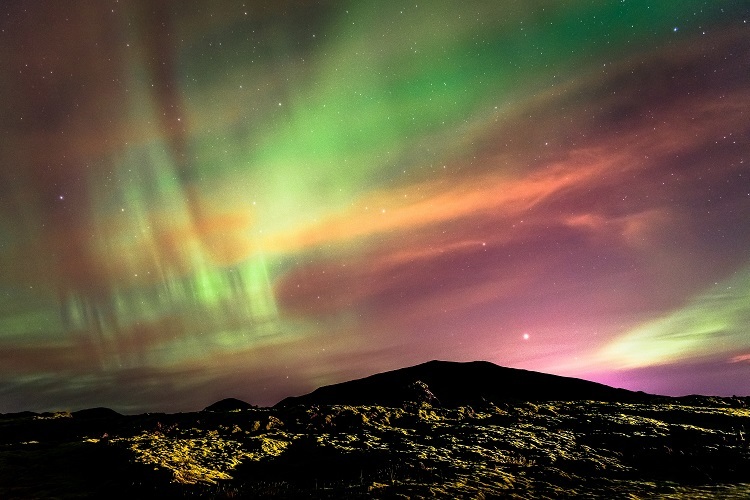 But what are the Northern Lights, and what actually causes this magical natural phenomenon? Who would have thought that a simple gust of wind could ignite such beauty? The Northern Lights (or aurora borealis) are sparked by radiation from the sun. Our most beautiful star launches charged particles into space and, carried by the solar wind, these are attracted to Earth by our planets magnetic field. This field is strongest at the Poles, and at night the solar particles become visible to the naked eye, colliding with gases such as oxygen and nitrogen and bursting into life over the ice. Despite auroras being known collectively as the Northern Lights, there are in fact Southern Lights, too. The aurora borealis are the Northern Lights, while the Southern Lights are known as the aurora australis. The immensity of the Northern Lights can’t be fully appreciated until you consider just how far above the Earth they shimmer. Despite some auroras looking close enough to touch, they appear between 60 to 200 miles above us; vast, sweeping blankets hugging the planet. One of the most stunning features of the aurora is undoubtedly its sheer variety. Some light shows appear as streamers or rippling curtains, while others form dramatic shooting rays of light. Then there are the colours. The colour of the Northern Lights all depends on the type of gas the suns particles collide with. 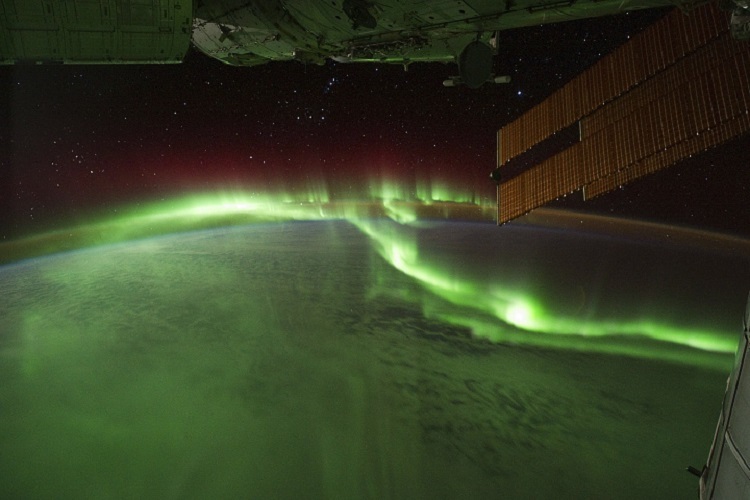 Green aurora is a result of low-altitude oxygen molecules; nitrogen molecules produce blue and purple auroras; while rarer red aurora is produced by high-altitude oxygen sitting around 200 miles above the Earth. The best place to see the Northern Lights is as close to the North Pole as possible. Some of the best Northern Lights viewpoints in North America can be found in the western parts of Canada – in particular, the Yukon, Nunavut, the Northwest Territories and, of course, Alaska. On many Alaska cruises, luxury cruise lines will incorporate Northern Lights excursions into their itineraries. If you want to see the aurora borealis closer to home you need only venture to the northern reaches of Europe. Scandinavia is prime Northern Lights territory, with the best sightings in the Lapland areas of Norway, Sweden and Finland. 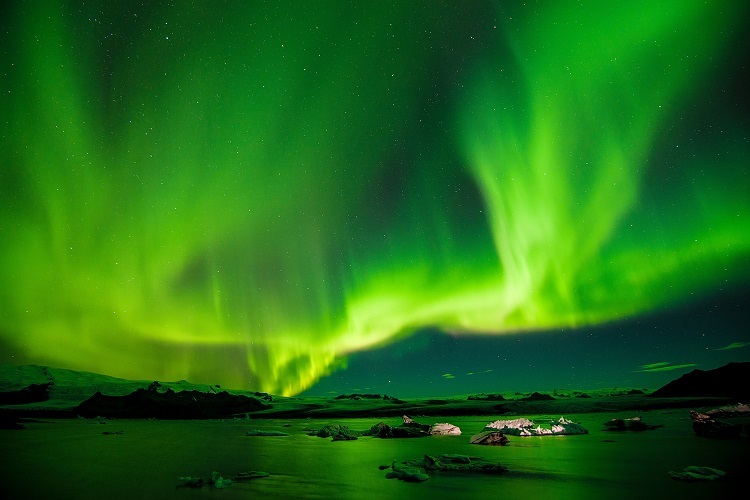 However, Iceland is an increasingly popular cruise destination offering spectacular views of this light show, as is the southern tip of Greenland. 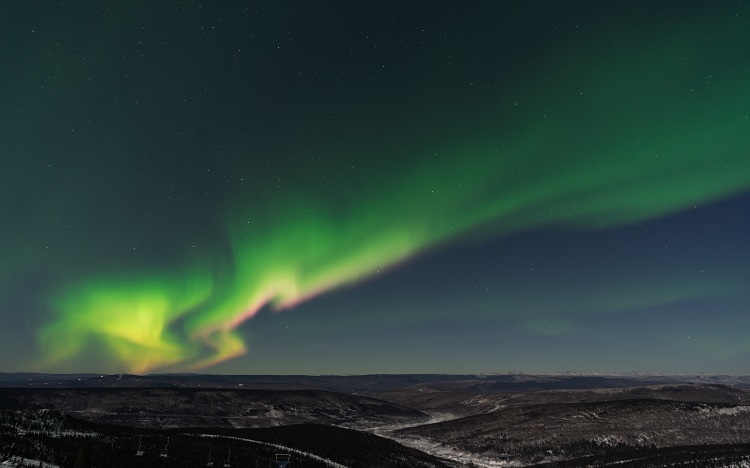 Cruise lines like Hurtigruten even offer specific Northern Lights cruises with a Northern Lights Promise: if you don’t see the dazzling light display during your voyage, you will be gifted another six or seven-day Classic Voyage free of charge. If you are cruising in the south and would like to try and see the Southern Lights, some of the best sightings dazzle travellers in New Zealand, in places like Stewart Island, Lake Tekapo and Aoraki Mt Cook National Park (both Dark Sky reserves), and the Catlins. Then, of course, there is Antarctica, the most southerly point on Earth. Regardless of where you choose to snuggle up and enjoy the Northern Lights, remember to make sure that it is as free from light pollution as possible. Inky black skies are essential to any aurora show. Would you like to experience the Northern Lights for yourself? A fjords cruise, or even an expedition cruise to the Arctic or Greenland, offers the perfect opportunity to fall under the spell of these gently dancing lights. 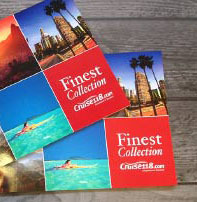 Call our Cruise Concierge team to time your voyage with this natural phenomenon.